Word clouds are a visual representation of the frequency of words in a selection of text. More than just pretty pictures, word clouds can engage students in critical thinking. Critical thinking is often cited as one of the 4Cs of 21st century learning. The 4Cs include critical thinking, communication, collaboration, and creativity. Critical thinking is the art of using knowledge, skills, and intelligence to arrive at thoughtful conclusions based on evidence and reason. In a word cloud, the more frequently a word is used, the larger it is. Predicting what words will be large or small is certainly an exercise in critical thinking. For instance, what word would you expect to be largest in the Declaration of Independence? You might guess words like freedom, king, and American. Your guesses would be based on your knowledge of the Declaration of Independence. You know that American colonists were not happy with the King of England and demanded their own freedom, so you suspect those key words would appear most often. 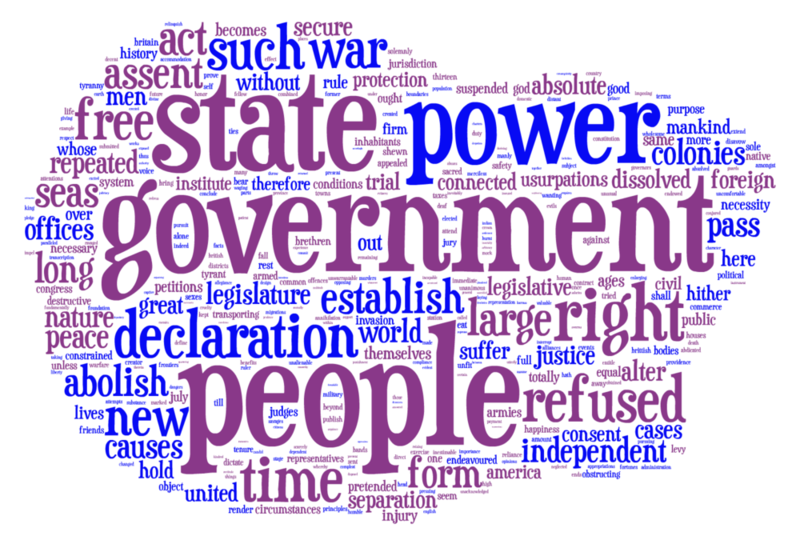 I used the website Tagul.com to make a word cloud from the text of the Declaration of Independence. I expected to see the words freedom, king, and American in large font. However, people, laws, right, and government are the largest words with no mention of the three words I predicted to see. Reflection is a crucial piece of critical thinking. Having the willingness and ability to evaluate ones' thinking leads to learning and improvement of thinking skills. Why was my prediction incorrect? Why didn't freedom, king, and American appear in the word cloud? I examined the original text of the Declaration and found that America is mentioned only twice, once as part of the title of the document, "The Unanimous Declaration of the Thirteen United States of America," and another in the concluding paragraph. Reviewing the Declaration of Independence, I am reminded that the document is a list of grievances against the King of Great Britain. His title is mentioned just once, but he is referred to by pronoun over a dozen times. (Note that word clouds often omit common English words like "he.") So it makes sense that the word king is not frequently used in the Declaration. In the final part of my reflection upon my initial thinking, I was sure I would see the word freedom in the document. To my surprise, the word does not appear anywhere in the Declaration of Independence. The word free is used a few times, mostly in the phrase "free and independent states." Consequently, I've had to readjust my thinking about the Declaration of Independence The majority of the text is not about the importance of freedom. It is a listing of the king's actions that the colonist viewed as unfair. When getting students to think critically about word clouds, it's probably necessary for the teacher to model aloud their own thinking. The modeling should demonstrate clear, logical, and relevant reasoning. Be sure to give students opportunities to express their thinking. Working in pairs, small groups, or engaging in class discussions allows students to convey and refine their thinking. They can get feedback from others and hear how others arrived at their conclusions. Again, after testing predictions, it is essential to evaluate thinking through reflection. Were the predictions correct? Why or why not? What do you see that makes you think so? You can make word clouds from any text you can copy and paste. You could make a cloud from a Wikipedia article or from Wonderpolis. Word clouds are particularly useful if your textbook has a digital edition. Copying the text of a chapter into Wordle can be a great way to preview upcoming content or to review the chapter. Students can analyze their own writing using a word cloud. Turning a piece of writing into a word cloud can help writers determine if the purpose shines through their words. It's also a great way to determine if certain words are overused or underused. Another way word clouds can be used for critical thinking is the Guess the Wordle project. Each week day there is a new puzzle or mystery idea represented by a word cloud. The solution is given the following day. In addition to Tagul there are other sites that generate word clouds, including Wordle, Tagul, Tagxedo, WordSift, ABC Ya, and many others. If you're using a mobile device or a Mac that doesn't have Java, your best option might be WordItOut. 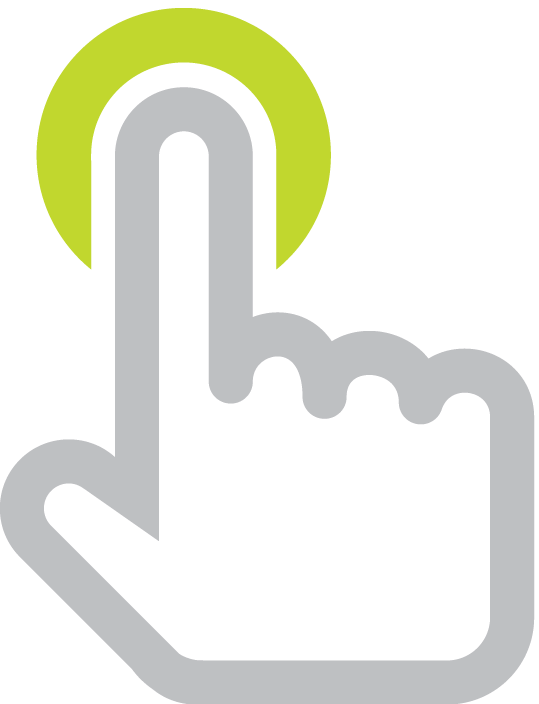 It works great in a web browser and does not use Java or Flash. 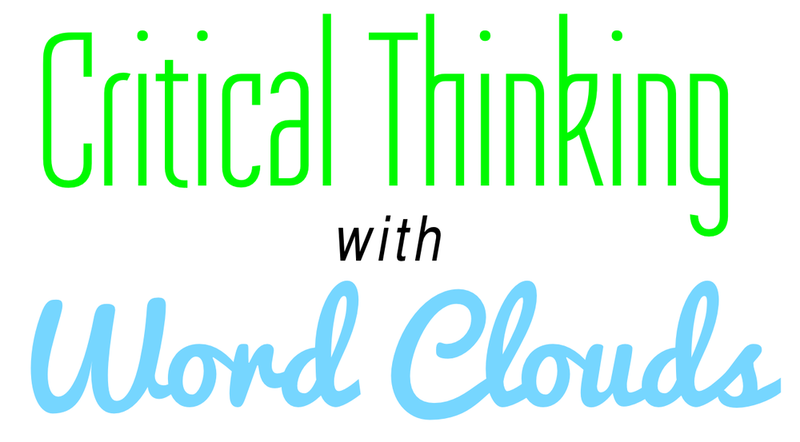 Using word clouds is just one way students can practice critical thinking. The Foundation for Critical Thinking has a series of short videos on YouTube that helps explain critical thinking to young learners. The third video in the series features five intellectual standards to think better. Be clear. Can you state what you mean? Can you give examples? Be accurate. Are you sure it's true? Be relevant. Is it related to what we are thinking about? Will it help solve the problem? Be logical. Does it all fit together? Be fair. Did you consider how your behavior will make other feel?